What Can Xavor’s xReport Do For Your Business? 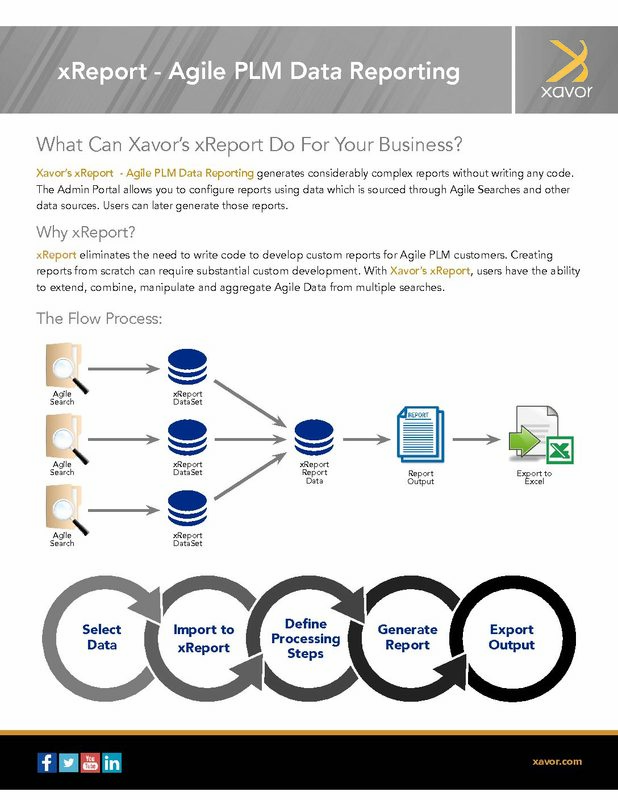 Xavor’s xReport – Agile PLM Data Reporting generates considerably complex reports without writing any code. data sources. Users can later generate those reports. 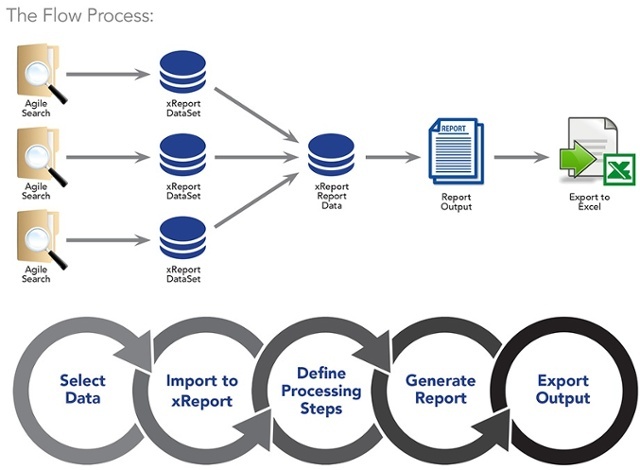 xReport eliminates the need to write code to develop custom reports for Agile PLM customers. Creating reports from scratch can require substantial custom development. With Xavor’s xReport, users have the ability to extend, combine, manipulate and aggregate Agile Data from multiple searches.